In 2001, Paul Boykin joined the Georgia-Pacific (GP) team and began a career in machinery lubrication. 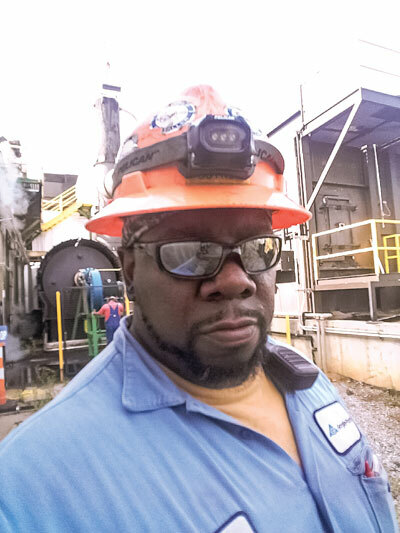 Through the years, he has worked as a relief operator, lubrication technician, electrical millwright and in maintenance at the GP lumber mill in Bay Springs, Mississippi. Currently serving as the site’s only reliability-centered maintenance technician, Boykin is responsible for the entire facility, which includes managing tasks related to hydraulics, reliability and preventive maintenance. He has grown to love the science behind proactive and predictive maintenance, and has learned the importance of keeping hydraulic power units (HPUs) clean, cool and dry. Q: What types of training have you taken to reach your current position? A: To reach my current position, I have had training in the fields of welding, ultrasound, infrared thermography, industrial hydraulics, power transmissions, laser alignment, proactive maintenance and machinery lubrication. Q: What professional certifications have you attained? A: My professional certifications include Level I Machine Lubrication Technician (MLT), ultrasound and infrared thermography. A: I plan to obtain certifications in vibration analysis, hydraulics and oil analysis. A: A normal day for me includes conducting safety meetings with the reliability crew, as safety is a priority. I also check the hydraulic hose crimping room and the lube oil sheds for issues from the previous production shift. I review the production downtime report for potential reliability issues and investigate, if necessary, to prevent recurring events. In addition, I check the hydraulic units, review the infrared and ultrasound work order routes, order replacement parts, assist vendors, take oil analysis samples, and perform root cause analysis. A: I am currently working on a project to create an ISO cleanliness code for oil to keep the facility within the standard guidelines. A: One of my biggest project successes was getting the oil in the hydraulic units for all 22 facilities up to the ISO cleanliness code standard and consistently maintaining it. A: I’m extremely grateful that Georgia-Pacific and the site management have been supportive of the reliability and lubrication strategies here in Bay Springs. A: Reliability will come if filtration and the logic behind it are understood. A: Our company has put an emphasis on machinery lubrication and reliability in order to provide machine centers that run reliably and efficiently with significant uptime improvements.